Antiaging Sleep — Jay Williams Ph.D. Extend your life with anti-aging deep sleep. 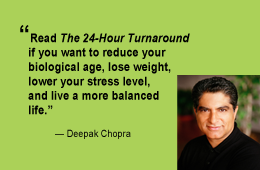 In The 24-Hour Turnaround, TLC 6, I show how healing sleep extends your life, boosts your immune function, prevents aging, and even helps you drop unwanted pounds. It’s no news that most Americans are sleep deprived. Nearly one in three people surveyed by the National Sleep Foundation reported getting only six hours or less of sleep during the week—although 98 percent of those surveyed said sleep was as important to them as exercise and good nutrition. New studies confirm that sleep affects more than just alertness: it influences your memory, your productivity, and your reflexes. Not only does sleep deprivation make you fatigued, unable to concentrate, and irritable, losing sleep over a long period of time can reduce your functioning capacity. Cellular regeneration happens primarily during sleep, and the amount of deep sleep and dream sleep you get every night may be a fair indicator of your lifespan. Research confirms that lack of deep sleep can tear down your immune system, making you more susceptible to viral and bacterial infections, and it greatly affects your youthful good looks and how you relate to those around you. Reading The 24-Hour Turnaround, TLC 6 will be important if you are interested in decreasing your biological age. But what about those who have difficulty getting to sleep or even maintaining restful sleep? TLC 6 will help you to incorporate important sleep steps in your daily routine so that you feel younger, and more alert, energetic, and productive in the next 24 hours. Get Started Today: Sweet dreams for anti-aging. Sleep Turnaround Tip: Go to bed 15 minutes earlier. Plan to get into bed 15 minutes earlier than normal tonight — even if you don’t immediately fall asleep. Whatever you normally do during that last 15 minutes of the day can be done the next morning. Unless you are an extreme night owl, you are probably more efficient in the morning than at midnight anyway. Set your alarm 15 minutes earlier tomorrow morning to help you capture that extra bit of time and to reset your body clock. Eat to sleep and stay young — stay with the 3/500 rule that is an important component of the Definition Diet. 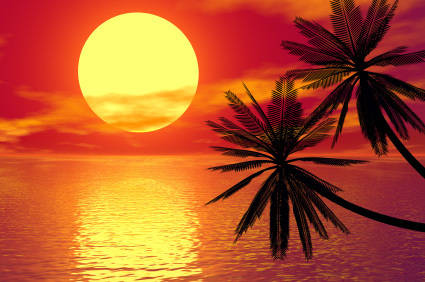 Keep your evening meal 500 calories or less if you have problems sleeping. Have larger meals at breakfast and lunch and don’t forget your Definition Diet snacks. Your pituitary gland secretes less anti-aging Human Growth Hormone while you sleep if you eat a large meal before bedtime OR if you have refined deserts or alcohol. Researchers have found that those people who were more likely to be awake during the first cycle of sleep tend to have lower levels of natural killer cells—levels you want to go up—not down—to stay well and prevent diseases. That’s why using the Turnaround tips in TLC 6 will help you to stay asleep during all sleep cycles—and benefit with the boost in immune function. A surprising study published in The Lancet revealed that the young adults in the trial who cut sleep from eight hours to four hours of sleep each night had striking changes in glucose tolerance and endocrine function, representing the effects of advanced age or even the early stages of diabetes. These changes reversed when the volunteers spent 12 hours in bed. Increased tissue and cell regeneration and rejuvenation for anti-aging results. Improved quantity and quality of sleep that increases anti-aging hormones. Reduced mood swings and greater optimism. Production of weight loss hormones.